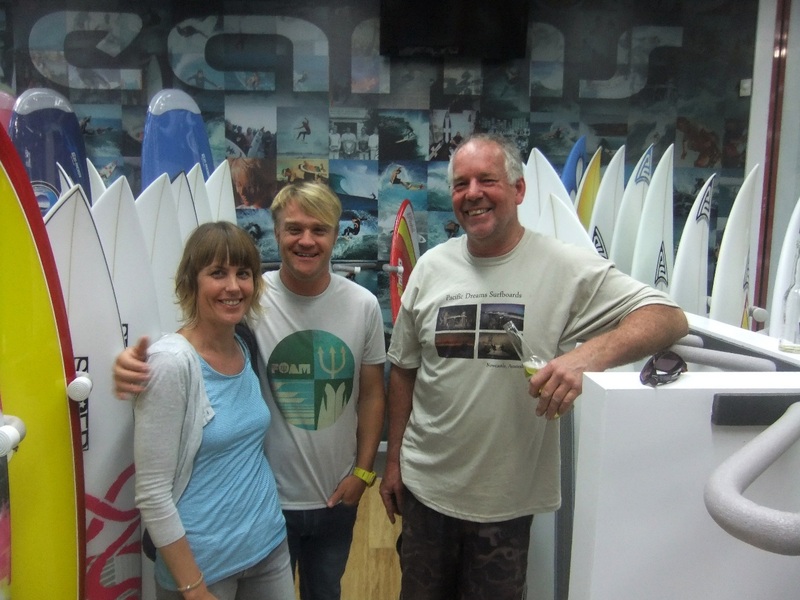 25/11/11 Pacific Dreams opened their new Darby Street Newcastle surf shop. 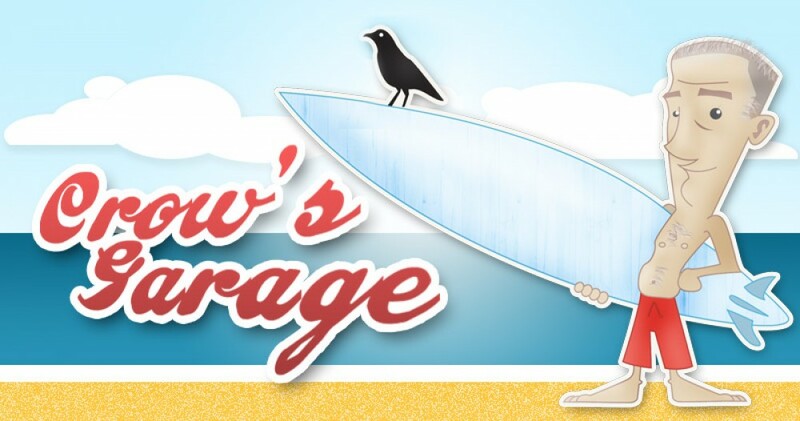 The shop is full of new boards, some second hand ones and a lot of surf gear. 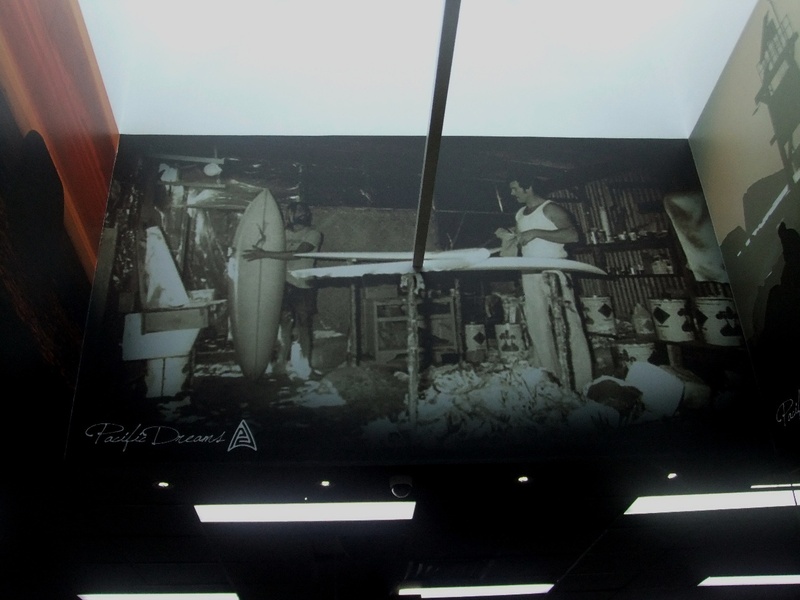 One of the features in the shop is a huge skylight highlighting 4 large surf photos. This one I took around 1975 of Roy lee and Martin Littlewood working together in a lantana covered chook shed at Redhead. 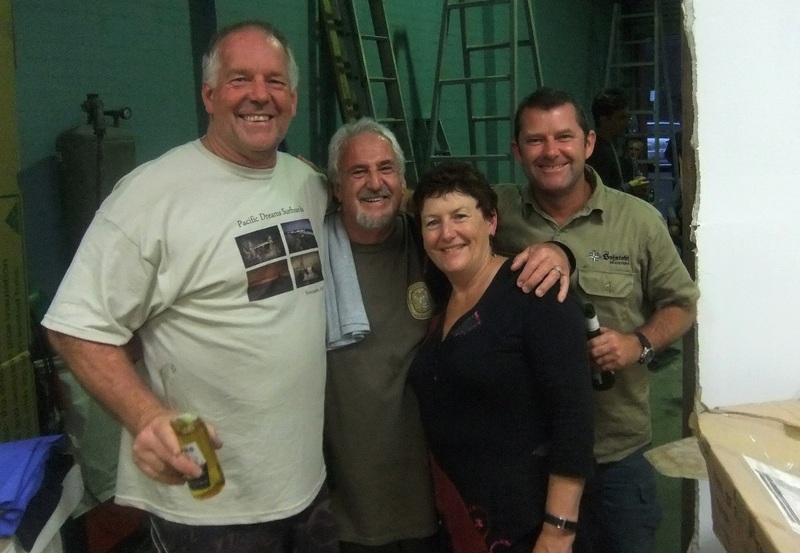 PD owners Roy and Jan join the boys Ronnie and Bidsar in celebrating some hard work getting it all together. 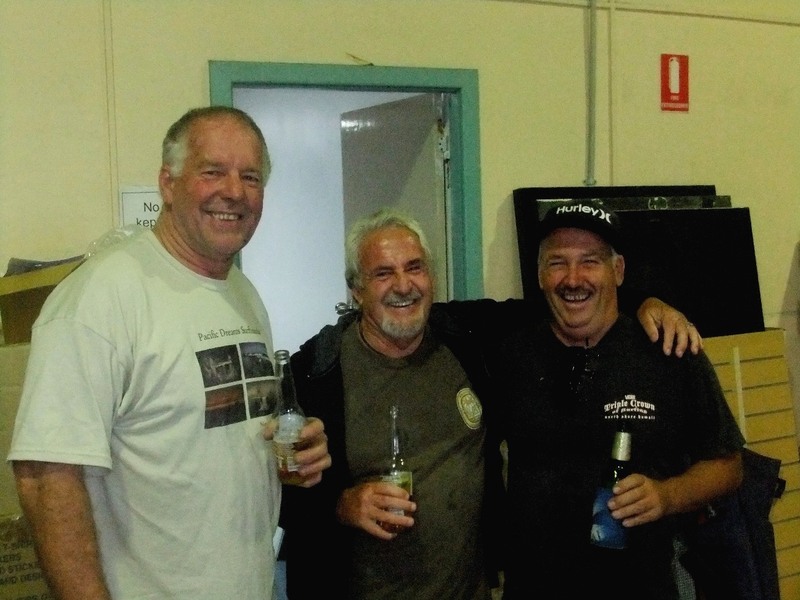 Roy Lee enjoys a beer with Ronnie Rudder and board maker Peter McCabe. 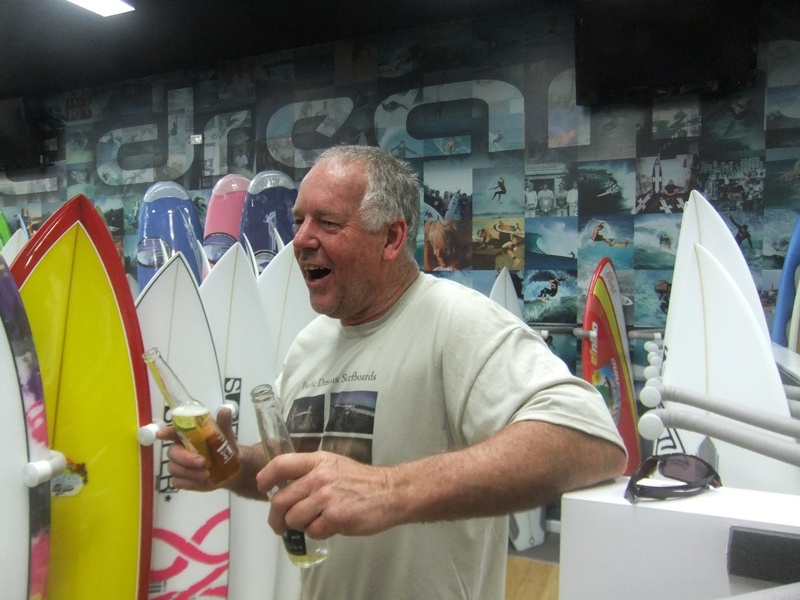 Peter’s boards are available from Pacific Dreams surfshop. 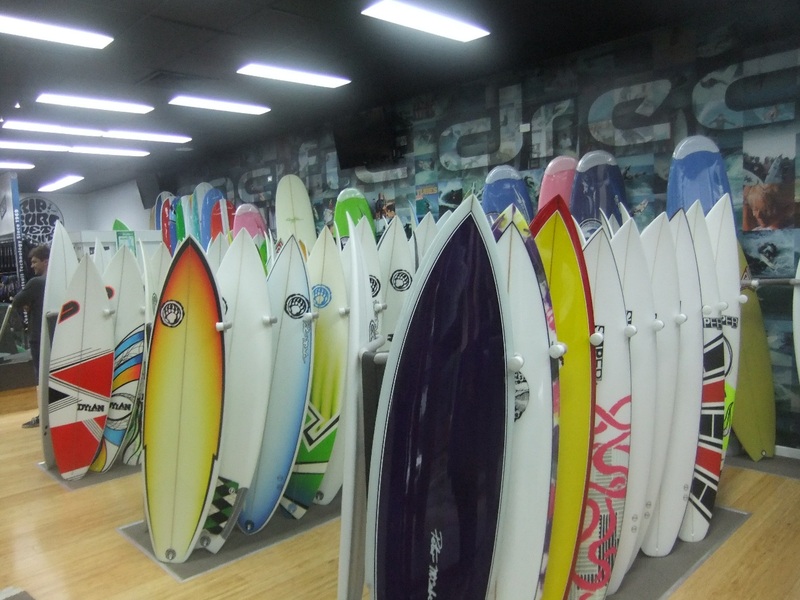 Pacific Dreams surfshop. 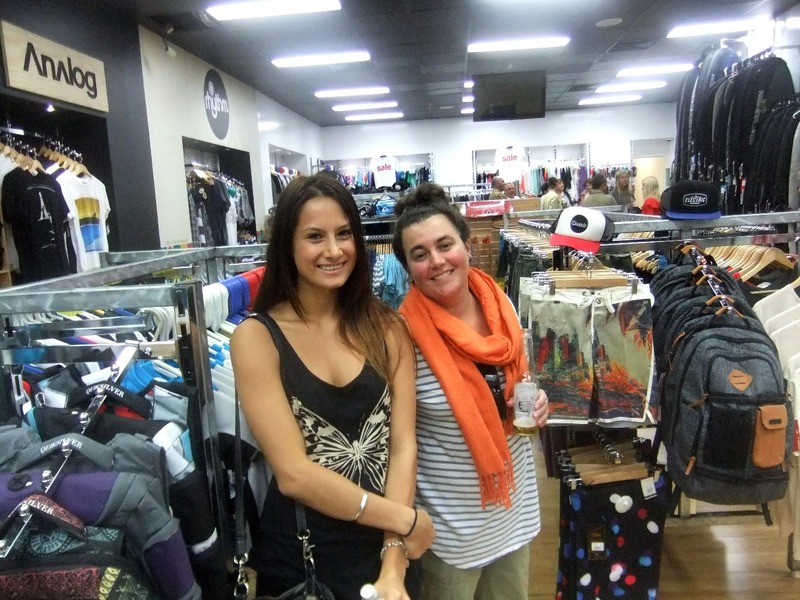 The girls in front of the huge amount of surf gear on offer. 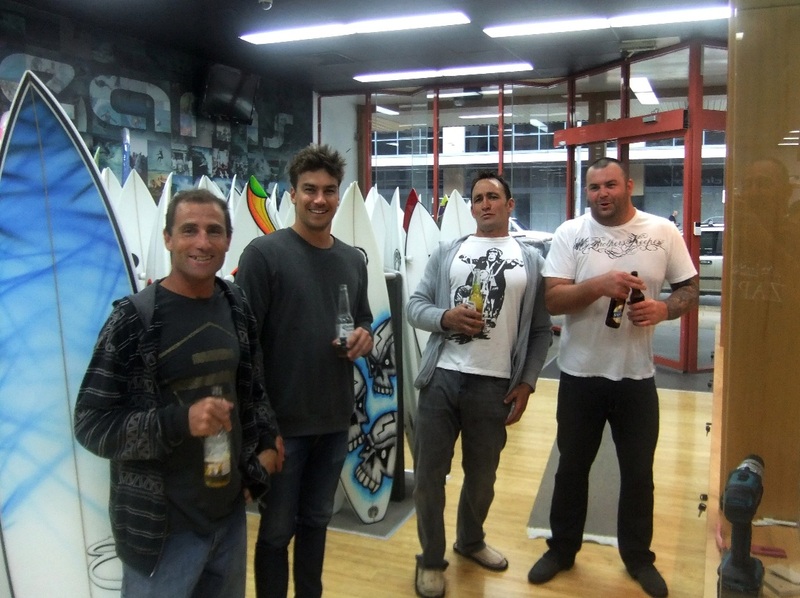 The boys at Pacific Dreams surf shop opening enjoying a few beers. Chris and Megan Totterman with Roy in front of the wall of photos Chris worked hard in creating. Shane and Ronnie maybe trying to tell me there is something up on the roof. A rare trip in front of the camera Roy and Crow. 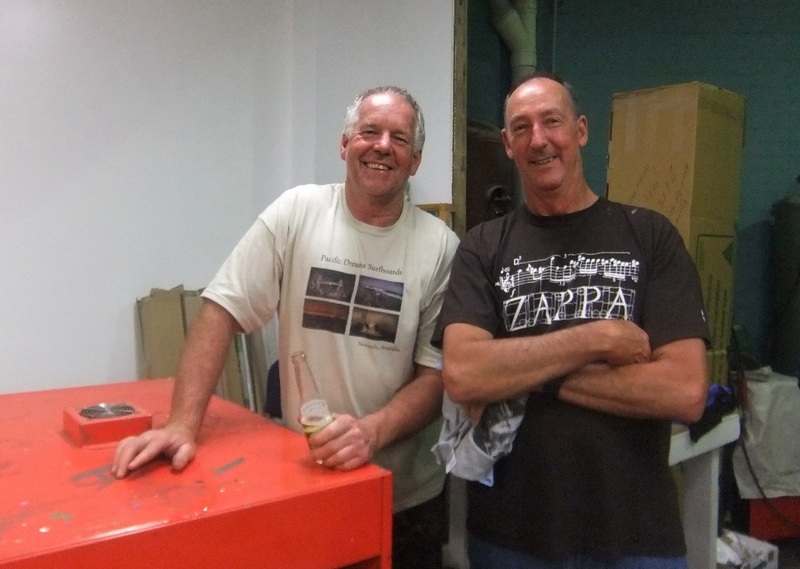 We went to school together and started surfing together around 1964. 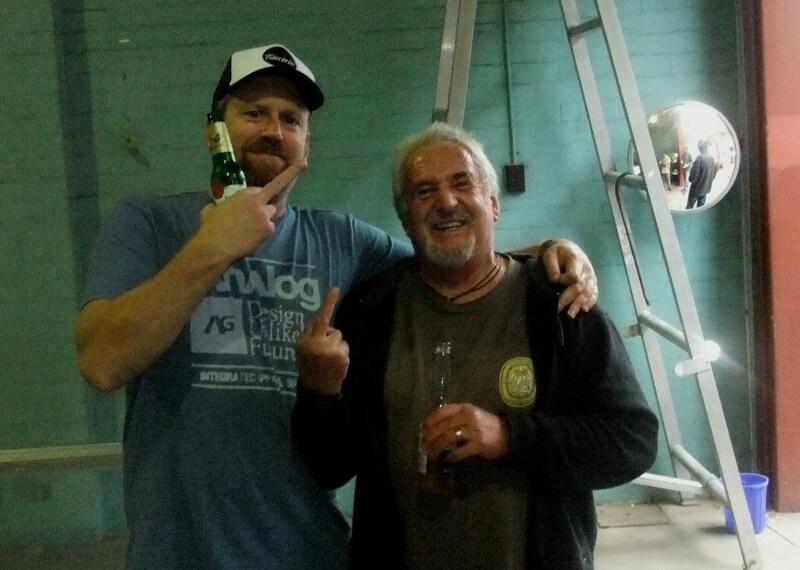 Roy has a couple of beers literally, just remember Roy you got to get up early and get this shop up and running tomorrow. This entry was posted in Surf, Uncategorized by geoffcrow. Bookmark the permalink.